The division within the movement took an especially ugly turn in 1867 when two referendums a question or policy that is put on a ballot for citizens to vote on directly were put on the ballot in Kansas. One gave the vote to African American men; one gave the vote to women. Although the AERA was still in existence and on paper the group supported both measures, they were deeply divided. Leading up to the 1867 election reminder: the movement toward universal male suffrage was still being debated; the 15th Amendment would pass in 1869, Stanton allied with influential Democratic supporter George Francis Train in what turned into a racist campaign in favor of women’s suffrage at the expense of Black men. At the same time, word was spreading of African American male suffragists speaking against women's suffrage. The election drew closer and, despite pleas from Lucy Stone, Susan B. Anthony decided to use AERA funds to aid George Train in his campaign against Black male suffrage. Stone argued against this action in part because she had visited the same town where Train was campaigning 6 months earlier and had found that Black male leaders were in support of both measures. Black women — despite being uniquely affected by both referendums — were less valued in the process by their white counterparts. For example, when both Frances Harper and Frederick Douglass declined to join the Kansas women’s suffrage campaign, “Stanton criticized Douglass, not Harper, for not going to Kansas to support woman suffrage. In the end, both referendums failed and the women had alienated their Republican allies in the process. Not long after the 1867 election, the AERA split into two separate groups. 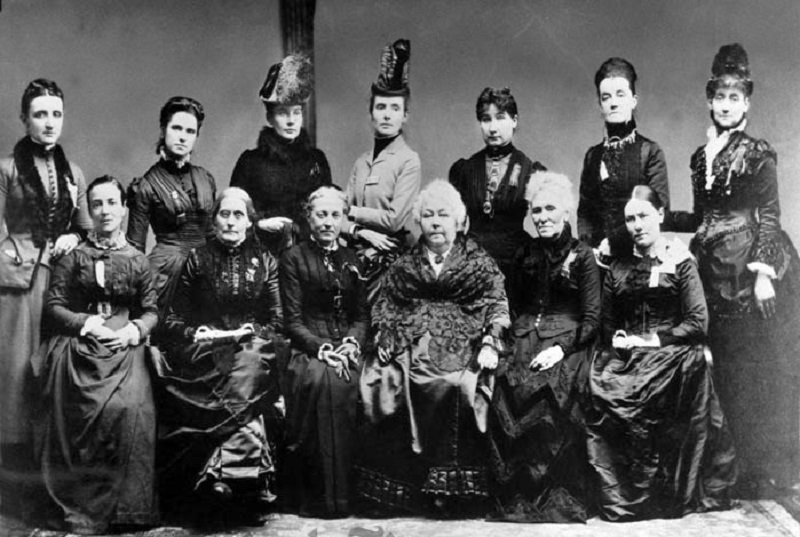 Stanton and Anthony formed the National Woman Suffrage Association (NWSA), and Lucy Stone and her husband Harry Ward Beecher founded the American Woman Suffrage Association (AWSA). Not all Black suffragists involved in the mainstream movement joined the AWSA. For example, Hattie Purvis chose to maintain working with her friend Susan B. Anthony and the NWSA, but the conflict and separation forced Black women to make a choice that probably could have been avoided. Conflicting self-interests drove a wedge into the movement, and they exposed prejudices that in part prevented women from gaining the right to vote for another 50 years.